Home / Celebrity / Pearl Thusi / Pic! Pearl Thusi got herself a new ride, a whole Lexus SUV. Pic! Pearl Thusi got herself a new ride, a whole Lexus SUV. Pic! Pearl Thusi Gets Herself A New Luxury Car! Congratulations are in order for mama Pantha who just got herself a new ride, a whole Lexus SUV. Pearl’s hard work is paying off and she’s enjoying the fruits in silence. 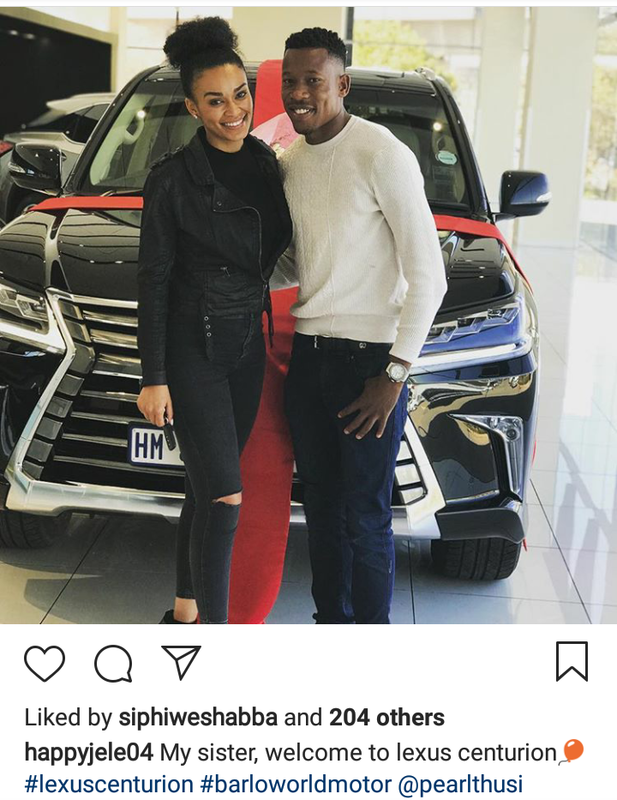 The actress didn’t share a photo of her car but thanks to Lexus ambassador, footballer Happy Jele who shared it on his Instagram page, we got to see a sneak peek. Jele congratulated Pearl writing, “my sister welcome to Lexus Centurion”. We wonder if Pearl joins the Lexus SA family as an ambassador or just a customer.